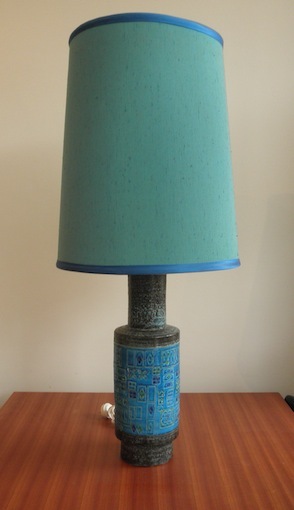 Huge sized Bitossi Aldo Londi lamp circa 1968. This lamp comes with it’s original shade and is free from chips and cracks. 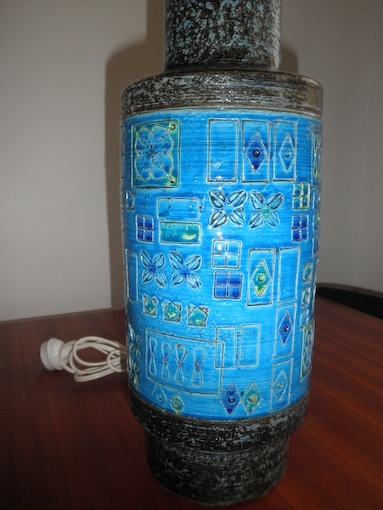 It is decorated with an abstract pattern around the rimini blue band. It has been tested and tagged.